SpaceX returns to flight after the September incident. It has managed to launch on Saturday a Falcon 9 rocket from the Ca lifornian Coast. The objective of the rocket was to deliver 10 satellites into orbit from Iridium Communications Inc. The rocket blasted off from the Vandenberg Air Force Base at 9:54 a.m. PST (1754 GMT). 10 minutes after the launch, the first stage of the rocket touched down a platform in the Pacific Ocean. It is the first mission made by the company since September when a vehicle exploded during fueling ahead of a pre-flight test in Florida. Falcon 9 Launches ORBCOMM OG2 Satellites to Orbi. Image credit: Falcon 9 Launches ORBCOMM OG2 Satellites to Orbit. Saturday rocket launched was the first since September. Luckily for SpaceX’s founder and entrepreneur Elon Musk, it was a successful one. 10 minutes after the Falcon 9 rocket was launched from California, it managed to return, a step that has been accomplished by other four Falcon Rockets of the company. SpaceX is planning to reuse the rocket to cut costs since it was not damaged. The company expected to do the mission a week earlier, but it was impossible given the stormy weather conditions. 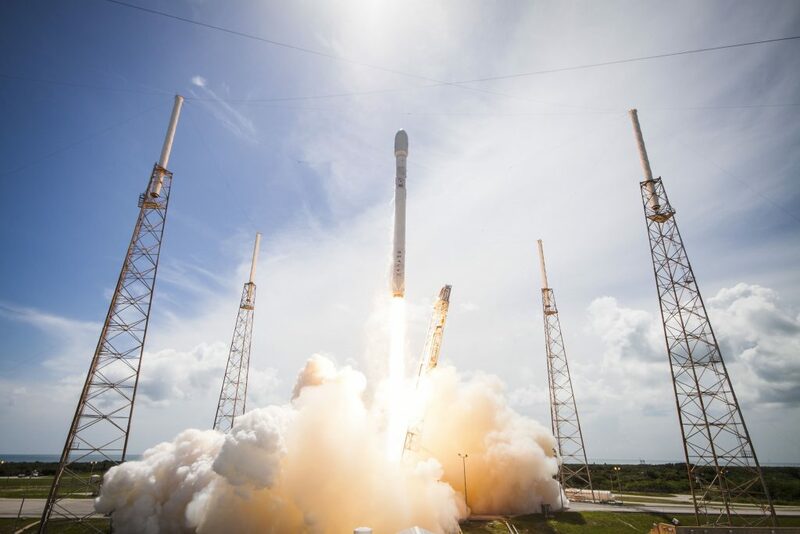 This return to operations means that SpaceX can continue the plan for accomplishing a handheld satellite phone network, which is run by Iridium. The operations were stopped in September when a Falcon 9 exploded, through a routine engine ignition test, which is a reminder that rockets can be unpredictable sometimes. The explosion flames consumed the vehicle itself and the Amos-6 telecommunications satellite that was intended to be put into orbit. Iridium is the very first commercial company that provides global, handheld satphone coverage. As well, it supplies voice connections to every single part on the planet. Iridium’s network has been used lately to feed data from remote systems such as mining equipment and pipelines. It has also become an important company when it comes to “machine to machine” or M2M services. The new satellites intend to improve data connection speed for their services, but as well, they carry additional payloads that allow Iridium to enter new markets including the ability to track ships and planes when they are out of sight of VHF radio. One thing the new satellites won’t be able to do is to produce iridium flares, which are the flashes in the sky that take place when sunlight glints off the antennas of the old spacecraft. Therefore when the old constellation is de-orbited, the iridium flashes will end. The original constellation was supposed to be up there seven to ten year but it has been there for 19 years already, which is why it is being replaced. “I’m afraid those who’ve been tracking that phenomenon over the past 20 years have another year or two to see it,” said Mr. Matt Desch, iridium CEO. “As someone who’s seen a couple myself, you can imagine what a thrill it is to be the CEO of a company like this and watch your satellite go overhead. But we weren’t going to spend money just to make angular shiny things on our satellites so that phenomenon will go away – but it’s been fun.” he added. 81 satellites have been already ordered by the European manufacturer Thales Alenia Space.